As Bitcoin has grown to its monumental market cap and value recently, the community at large and especially loyalist cypherpunks have begun to criticize the digital currency for straying from its original decentralized manifesto. This comes from the updates to the mining and governance protocols that Bitcoin has implemented in attempts to enhance the scale and speed at which their platform can operate, all at the sacrifice of a more equal spread of power. Bitcoin has faced many challenges recently trying to handle the amount of users it has amassed. At this point in time, Bitcoin cannot scale to the amount of traffic that financial titans such as Visa are able to handle. In response, Bitcoin has placed a lot of trust into its miners, who operate under the proof of work mining system. While this system is more decentralized than the proof of stake system others have switched to, there are less and less miners that can use the specialized equipment for mining and verifying BTC transactions as the block demands continue to increase. As a result of Bitcoin’s PoW system, the miners that do exist are a point of failure within the ecosystem. Miners have a large amount of trust placed on their performance and success. If these miners are ever compromised, it could have devastating effects to the community and the coins value. BTG is a hard-fork solution that allows anyone to mine the currency using just a normal graphics card that all modern computers possess. This allows the community at large to actively and equally contribute to the governance and mining protocols within the platform, without relying on a small group of highly sophisticated mining operations. Bitcoin Gold experienced one of the fastest ascents to power that has ever occurred in the cryptocurrency realm. It was able to grow in price and market cap faster than a majority of new cryptocurrencies, for a unique reason. This price jump is not a result of a radical new currency or radical disruptive technology. Instead, this is simply the result of the hard fork from the original Bitcoin blockchain that BTG implemented when it was created. The Bitcoin Gold hard fork resulted in all holders of BTC to also receive BTG. This means that instantly following the fork, every person who had BTC was automatically issued the same amount of BTG. Consequently, it began to be traded on the open market in high volumes almost immediately, driving the price up in a very quick timespan. Bitcoin Gold chose to engage in a hard fork, despite the recent trend of new companies and organizations creating their own code from scratch. Essentially, BTG was able to avoid creating a new genesis block and simply fork from the original Bitcoin blockchain. The Bitcoin gold team has stated that this decision was essential to their identity, as it allows anyone already involved in Bitcoin to still hold a more decentralized coin. In addition, this method allows for the majority control of the tokens to remain in control of the community, rather than a small group of individuals who own the company. 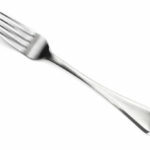 This was an example of a mild hard fork than in the past, some of which who have caused major disruptions to the market. Since BTG was not openly at war with Bitcoin, it was a relatively uneventful hard fork event in the Bitcoin blockchain. The major price increase that occurred can be attributed to the amount of BTG that flooded the market, as every individual that held Bitcoin also received BTG at the hard fork. These individuals either held the currency or traded it in an exchange, making its value soar very quickly for a relatively non-disruptive coin. The main unique value proposition of Bitcoin Gold is their mining protocol, which they entitled “Equihash”. Equihash allows for mining to be equal difficulty on both high-tech mining rigs such as those used by ASIC miners and those that use simply their graphics cards. By making the mining process accessible to everyone, the incentive to run specialty equipment is massively decreased, making it a much smarter choice to mine BTG with your graphics card. Also, this makes the mining process much less elitist. The Bitcoin Gold community will never not have access to mining and contributing to the community. This further incentivizes their overarching goal of being the most decentralized and community-driven version of Bitcoin that is available. But why switch from ASIC mining to more user friendly mining? Is it even sustainable? From a broad perspective, ASIC miners simply put to use more processing power that is needed for more demanding cryptographic processes related to mining. These miners sue specially built “rigs” that are designed to work at maximum processing power to solve algorithms and verify blocks for a particular cryptocurrency. GPU mining simply uses a graphics a card that comes stock with most computers and laptops. While this method may seem like a more efficient and obvious solution, the efficiency of this method depends on the types of protocols that are in place for the platform. Some protocols require extra computing power as to offset the security measures and cryptographic encryptions that are protecting the chain. With easier mining, the algorithms themselves must be easier to solve. 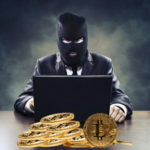 This causes concerns over security, but BTG has assured their methods through Equihash do not sacrifice any safety within the platform. Bitcoin gold is the self-proclaimed savior of the Bitcoin blockchain. They have declared that the powers that run Bitcoin have begun to shift from the masses, as originally intended, to a smaller group of power figures within the ecosystem. These figures include specialized miners with large stake sin Bitcoin, mining pool leaders, and developers. These specialized miners possess top of the line equipment to perform the increasingly difficult Bitcoin mining processes. These events have caused the learning curve and entry into Bitcoin mining to be much harder, therefore creating a much more secluded group of elite miners with more voting power than most members of the community. In addition to rumors of a switch to proof of stake, the supporters argue that Bitcoin is headed down a path to centralization and elite ownership, something the world does not need any more of. BTG is the cypherpunk response to an evolving ecosystem, one that is struggling to scale while adhering to the wants of the community at large. This altcoin is one of the inevitable manifestations of a technological revolution that has not only stimulated a massive interest in technology, but also a massive philosophical interest in how the future internet and business structure of the world should function. BTG is off to a strong start, but if it is going to succeed, it must compete with Bitcoin as the best version of the Bitcoin blockchain. 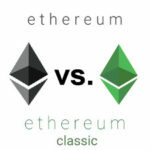 Not only are they battling with the original cryptocurrency, they are also rivals with Bitcoin Cash, another fork from the original Bitcoin blockchain due to differing philosophical visions. BTG has a strong message to deliver, but like every other cryptocurrency, scaling and mass adoption is the only way to ensure long-term success. BTG has a promising roadmap for 2018, showing that they are gearing up for a lightning network integration as well as a new decentralized mining pool protocol. These are innovative ideas, and show that the team at BTG are not going to stop attempting to innovate their version of Bitcoin until it is the best and most decentralized version of the digital currency.